Friend, knowing your MOTIVES for doing anything can tell much about who you are. By taking this program what do you want more of, or less of? 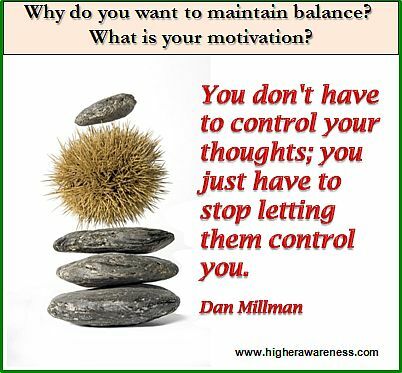 How will you know when you have attained and maintained balance? Answer your question daily by writing just a few lines in your journal. It takes just minutes per day to STOP and THINK and WRITE your thoughts and watch your life change. To understand why Smart Questions are so powerful, how they can be your best friend and why they draw out Your Inner Wisdom, read the article Why Do Questions Work . No matter where you are in your life, you have your own answers and we have the right questions to draw out your inner wisdom. Are you ready to confidently move forward and achieve what’s most important to you? Visit Smart Question Coaching and explore how to fully trust your inner guidance and wisdom.